» What Would It Take for You to Buy Rick Ross’s New Album? What Would It Take for You to Buy Rick Ross’s New Album? I bought Teflon Don. I can’t fully remember why, but after a full year of listening to my illegally downloaded copy of Rick Ross’s amazing fourth album, I drove to a record store, walked inside, interacted with an employee, and then purchased the album in compact disc form. I wanted it because I was home in Atlanta, meaning it was one of the few times a year I would be behind the wheel of a car. I missed the experience of rolling down all four windows in my mother’s silver Volvo, driving north on I-75 into the city, and blasting music as loud as I could physically tolerate — and then turning it up a little more. 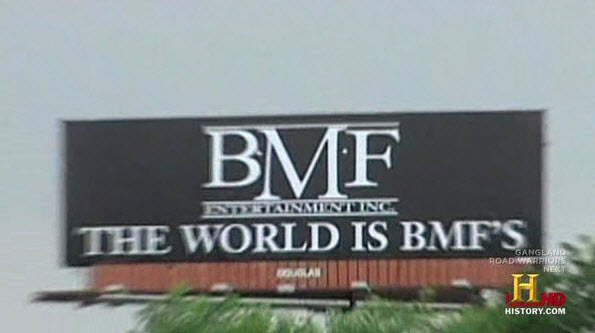 On that summer day in 2011, nothing could make me happier than listening to “BMF” while driving under the spot where the “BMF” billboard used to sit and terrorize northbound commuters. But I had the album on my iPod, and had a tape adapter, so this dream could still come true without purchasing the album. But I missed the feeling of putting an album into a six-CD changer and letting it run in its entirety. Yes, I could have achieved this by simply spending five minutes burning the album on a blank CD-R, but at that moment, I was unsure if there were any at home, and a pack of 25 blank CDs cost as much, if not more, than purchasing the album. It took that series of events for me to pay money for it. The perfect mix of immediate necessity, nostalgia, and (oddly enough) cheapness led me to walk into a store and give the store money for an album that I already had effortlessly obtained for free. I bought Channel Orange. I can’t fully remember why, but it felt right and it felt great. I hadn’t bought an album in 2012, my last purchase being that Rick Ross album from 2011. But the Frank Ocean purchase wasn’t a moral one, due to the length of time since my last monetary investment in music. Or because I loved the album (which I already had heard and already loved). Or because I was so moved by his brave admissions the week prior that I thought he deserved my money. I gave Frank Ocean my money because I wanted him to sell more records than Usher and Chris Brown. I was actively voting with my feet — Channel Orange, Brown’s Fortune, and Usher’s Looking 4 Myself were all released in the span of 33 days and R&B’s past, present, and future were all making markedly different statements with their collection of songs. In my mind, the only way new Usher could potentially go back to 8701/Confessions Usher would be if his albums began to tank. As for Chris Brown, despite his undeniably catchy songs, I genuinely want him to fail. Because I don’t like him. With the breath of fresh air that is Frank Ocean and his debut album, maybe he could kill two birds with one stone with a monster first week. Chris Brown, Fortune : 135,000 units. Frank Ocean, Channel Orange: 131,000 units. Usher, Looking 4 Myself: 128,000 units. I had supported a mini-movement that existed entirely in my head and I was pleased with how it went. Money well spent. I’m not buying God Forgives, I Don’t. In the opposite scenario from the stars aligning en route to a Teflon Don purchase, neither immediate necessity nor nostalgia exist with regard to his highly anticipated fifth studio album. As for supporting a movement (or actively trying to end others) as was the case with Channel Orange, truly getting behind Ross and “The Untouchable Maybach Music Empire,” financially, is something that has increasingly become harder to justify. This hashtag/motto/way of life has become synonymous with Ross. According to the Rozay, he and anyone he chooses to endorse (from Meek Mill to Omarion …) will be rich. Forever. There is no need for plan B, because that would be a waste of time. Interestingly enough, while ridiculous and highly irresponsible, when Ross says it (or tweets it) I believe that he believes that. I believe it so much, however, it backfires because I’ve fully convinced myself that he will achieve his goals whether I donate to the cause or not. When someone screams at me about how money he or she has (and will continue to have, forever), it doesn’t motivate me to achieve similar goals. Not anymore, at least. When Jay and Kanye launched into luxury rap for the majority of Watch the Throne, there was a level of sincerity to the opulence, because for once the rappers could actually afford the fairy tales they spoke of. Much of it was unrelatable, but I wasn’t mad at it because they were simply talking about their current situation. I appreciated the album, but not for a second did it seriously cross my mind to actually give them more money. So when Rick behaves in a similar fashion, it’s no secret that his financial situation is not similar to that of either of the Throne members, but he now talks like it is, resulting in a similar relationship between my debit card and his album sales. Just to remind ourselves, it’s not #WithYourHelpIWillBeRichForever. Not in the slightest. It’s #RichForever, something you can never take back. You can’t claim this forever lifestyle and then five years later be living a life that more resembles #StableUntilThe24th. You’ve got to love the man’s confidence and gusto, but again, his eternal financial braggadocio almost has an opposite effect when it comes to the idea of giving him even more money. To put it plainly, if I pay for a Rick Ross album, I’m effectively #GettingRichSlower. That’s very un-Rozay and that’s not what I want. Not one bit.